The United Kingdom has confirmed that Indian diamantaire Nirav Modi, who is at the centre of a money laundering case linked to the over Rs 130 billion Punjab National Bank (PNB) fraud, is currently in that country, top officials said on Monday. UK Minister Baroness Williams has also assured Union Minister of State for Home Kiren Rijiju, at a meeting here, Britain's full cooperation in the Government of India's efforts to expedite Nirav Modi, liquor baron Vijay Mallya and others extradition. Modi, who is absconding and has not joined the ED probe in the case till now, and others are being probed under various criminal laws after the fraud came to light this year following a complaint by PNB that they allegedly cheated the nationalised bank to the tune of over Rs 130 billion with the purported involvement of a few employees of the bank. An official said the Indian-side tried to allay apprehension of the UK on the issue of human rights and conditions of jails, saying India is a democracy and fully adhered to international laws. 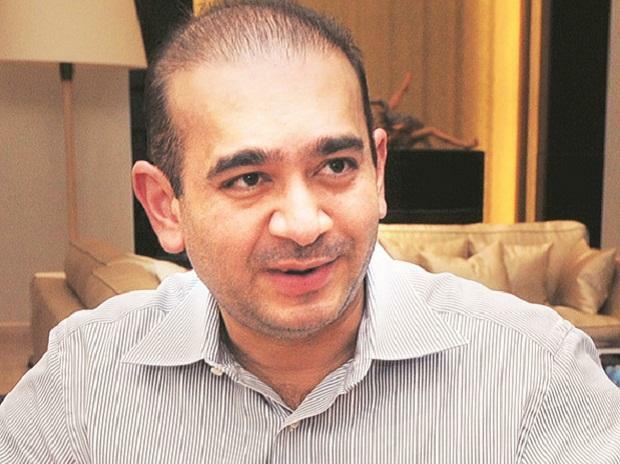 Letter Rogatories (LRs) in the cases lodged against Nirav Modi by the Enforcement Directorate (ED), the CBI and the Income Tax Department were sent to the UK Central Authority (UKCA) on March 19, April 14 and April 15 respectively. Nirav Modi and his uncle Mehul Choksi are being investigated by the Enforcement Directorate for allegedly cheating PNB, the country's second largest lender, to the tune of more than Rs 130 billion. India is also pushing for the extradition of liquor tycoon Vijay Mallya, who is on trial for the UK court to rule if he can be extradited to India to face charges of fraud and money laundering amounting to around Rs 90 billion. In the case related to Mallya, at a case management conference hearing held at the request of Mallya's lawyers on May 24, the judge has scheduled closing submission by the defence on June 21 and closing submission by India on July 26. The hearing for final arguments in the case was deferred from July 11 to July 31. In a separate development, the State Bank of India-led consortium of 13 banks won a case on May 8 wherein the Queen's Bench Division of the commercial court in England's High Court of Justice dismissed his plea to overturn a worldwide order freezing his assets and ruled that Indian banks were entitled to recover their funds from his assets in the UK. The last date for lodging an appeal against this decision by Mallya in the UK Court of Appeal was May 30. He has appealed on May 29.